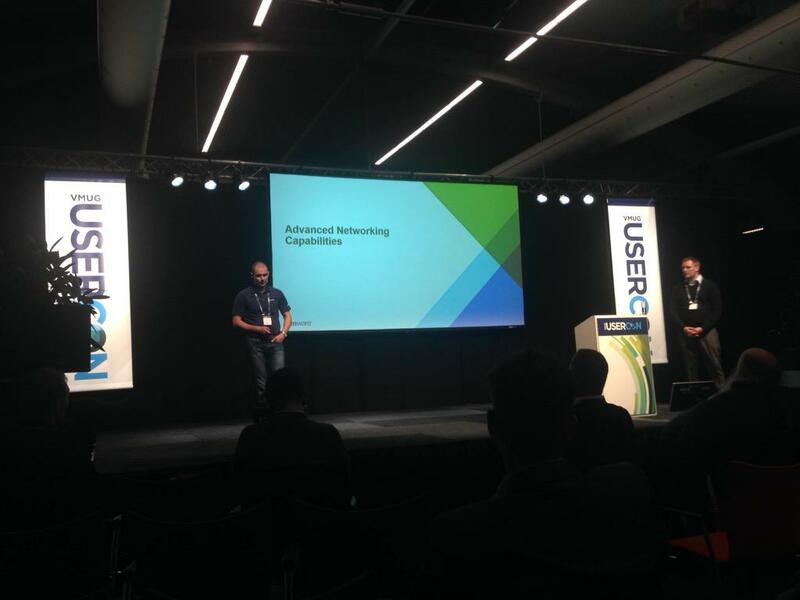 I got the opportunity to attend the Netherlands VMUG today. 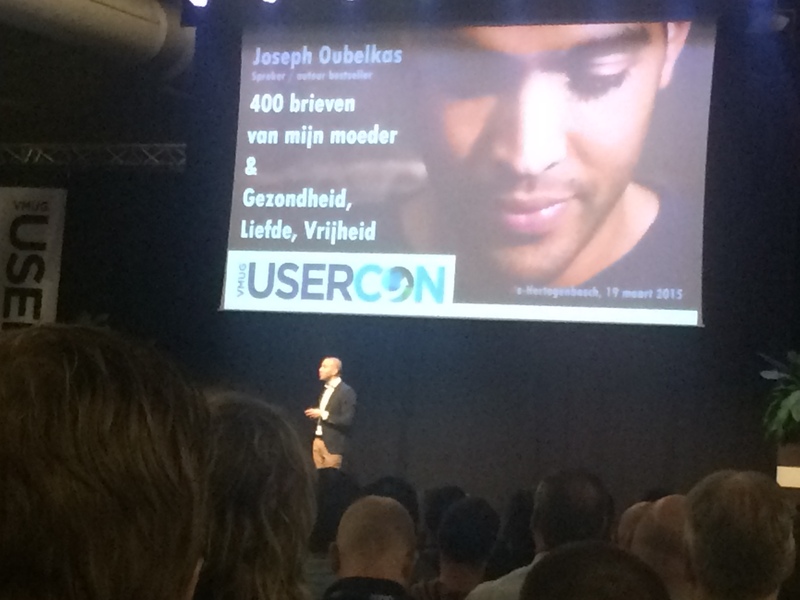 This is the first time I have attended the Netherlands VMUG so I was looking forward to it. 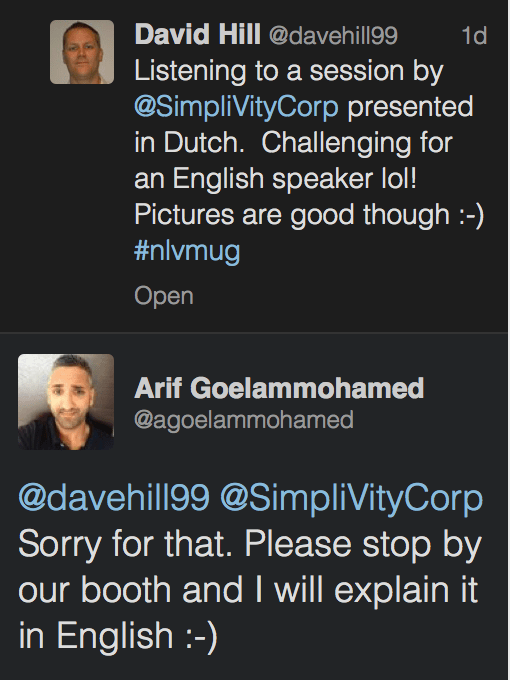 I have heard good things about the Netherlands VMUG from my colleagues. Lets start with the attendance. 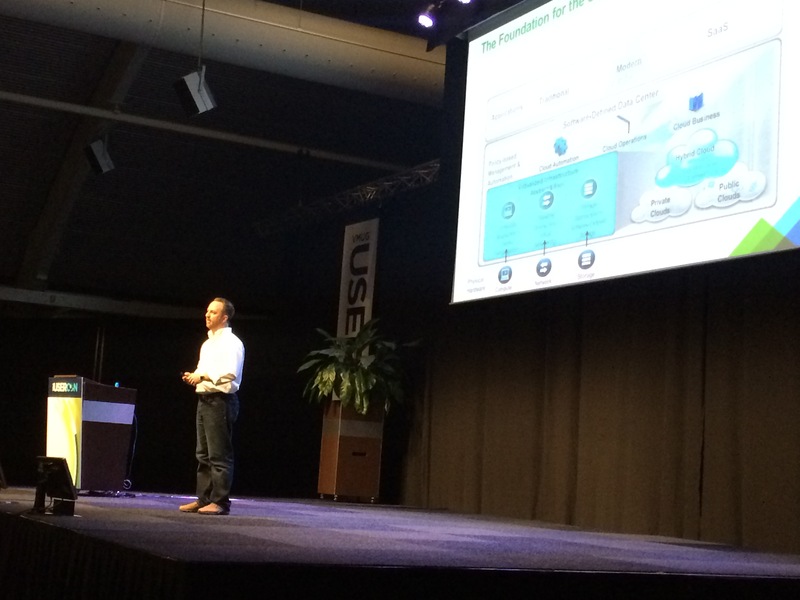 The Netherlands VMUG has the opportunity to become the largest VMUG in the globe. Currently the record is held by Indianapolis at 935 attendees. The Netherlands VMUG has 975 registered attendees, so it will be good too see if this is achieved at the end of the day. The first session was the keynote with @JoeBaguley. Joe is an excellent presenter and always impresses when presenting sessions. This session had it all, humor, information, strategy and technology. Joe talked about the direction of where IT is going. His point is that IT is not all about infrastructure, but is about the App and Data. IT has never existed to just build and manage infrastructure, it has always existed to provide the business with its app and data. This has got lost over the past 20 years, where IT was thought to exist to purely build and manage the infrastructure. Joe mentioned that it takes a mindset change to understand this approach. Being an infrastructure guy, this statement is concerning for me. Will I have a job in 5 years? Ultimately I guess that depends on what kind of person you are. If you are prepared to change and develop your skillset then yes you will advance with the technology, however if you simply want to keep doing what you do now, then unfortunately you will go the way of the dinosaurs. Think about it, I used to hold a MCSE in Microsoft Windows NT 4.0! What good is that to me today? Joe then spoke about the Hybrid Cloud, and how people’s perceptions are that VMware are simply late to the game. “This is simply not the case. One of the key reasons why VMware are building a public cloud now, and not five years ago is that as a company they wanted to have the ability to seamlessly move workloads between a on-premises data center and a public cloud as easily as people move VM’s across data centers” Joe said. Essentially the key message in Joe’s session was around Software Defined. If a vendor tells you its software defined by sticking a logo on the hardware, this is not software-defined. It needs to be code. It needs to be software. Think about Infrastructure as Code, that is the ultimate destination for Infrastructure. I then attended a session by Simplivity on Hyper-converged Infrastructure, but unfortunately it was in Dutch so I cannot provide any feedback or information on this session. I can tell you that the Powerpoint and Graphics were excellent 🙂 Got a great response from the presenter. After this session, it was time to present my session “vCloud Air – Building block for Hybrid Cloud”. First I want to thank Martijn Baecke for letting me crash his session. It was a great session and we had some really great questions around networking integration with NSX and of course licensing databases in a cloud. During the conference I spent a lot of my time walking around the solutions exchange and I really enjoyed the conversations I had with people about vCloud Air. It was a really great conference, I just wish I could speak Dutch as I would then be able to have understood most of the sessions. I just wonder if they broke the record on largest attendance.